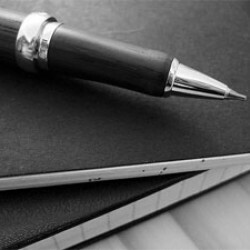 In this essay I call critical attention to the role of physical location in rhetorical situations, naming this aspect of communication “rhetorical space.”; Rhetorical space is the geography of a communicative event, and, like all landscapes, may include both the cultural and material arrangement, whether intended or fortuitous, of a location. Drawing on the observations of novelists, philosophers, anthropologists, cultural geographers, and architectural historians, I explore the dimensions of this concept through an investigation of the pulpit, a rhetorical space that communicates a message to the audience quite apart from the sermon. Nan Johnson demonstrates that after the Civil War, nonacademic or “parlor” traditions of rhetorical performance helped to sustain the icon of the white middle class woman as queen of her domestic sphere by promoting a code of rhetorical behavior for women that required the performance of conventional femininity. 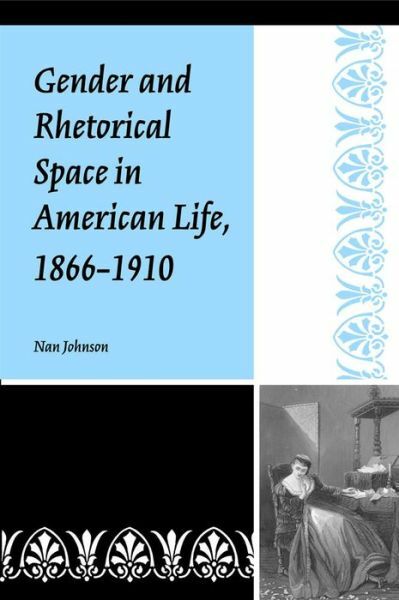 Through a lucid examination of the boundaries of that gendered rhetorical space—and the debate about who should occupy that space—Johnson explores the codes governing and challenging the American woman’s proper rhetorical sphere in the postbellum years. While men were learning to preach, practice law, and set political policies, women were reading elocution manuals, letter-writing handbooks, and other conduct literature. These texts reinforced the conservative message that women’s words mattered, but mattered mostly in the home. Postbellum pedagogical materials were designed to educate Americans in rhetorical skills, but they also persistently directed the American woman to the domestic sphere as her proper rhetorical space. Even though these materials appeared to urge the white middle class women to become effective speakers and writers, convention dictated that a woman’s place was at the hearthside where her rhetorical talents were to be used in counseling and instructing as a mother and wife.